A bell, a baby monitor, and a bunch of homemade pasta. So began Patricia and Ron Inman’s dream. 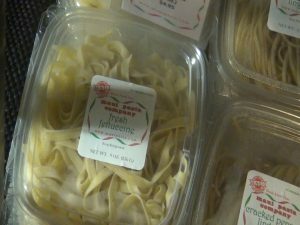 From there, they began selling their pasta infused with fresh herbs at the Upcountry Farmers Market. Then, they approached Pukalani Superette. 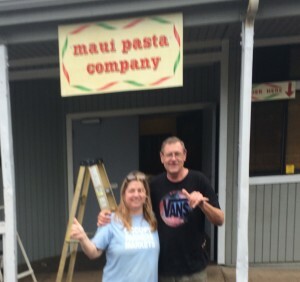 Maui Pasta Company moved into its own standalone building, near Maui Tropical Plantation in Waikapū, starting with just a to-go window, then opening the doors on its take-out pasta shop in July of 2015, selling all types of Italian specialties made with local ingredients. Patricia is passionate about Italian food. She lived in Italy for two years; while pursuing her Master’s degree in Architecture, she also took culinary classes and immersed herself in Italian culture. When they started the restaurant, she got to dust off her authentic recipes and get creative. “What we incorporated from all of those recipes I got from Italy was a very special marinara sauce that’s kind of a hybrid of a couple different regions in Italy that really came together nicely,” she says, adding they also take pride in their alfredo sauce, ravioli cheese base and macadamia nut pesto lasagna, a signature dish. 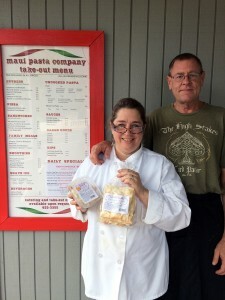 Patricia and Ron Inman showcase their specialties at Maui Pasta Company in Waikapū. Photo courtesy of Patricia Inman. Fettucine to go at Maui Pasta Company in Waikapū. Photo by Kiaora Bohlool. 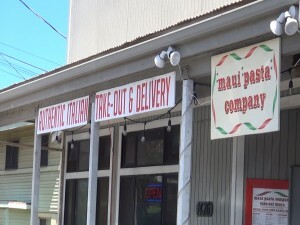 Maui Pasta Company in Waikapū. Photo by Kiaora Bohlool. 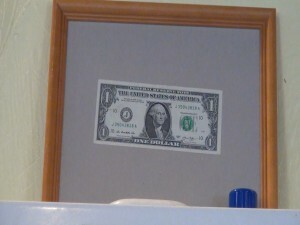 Dollar posted on the wall at Maui Pasta Company. Photo by Kiaora Bohlool. 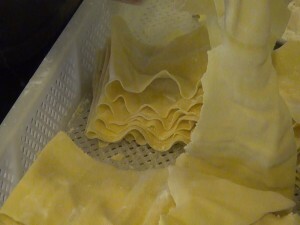 Lasagna coming out of the pasta maker at Maui Pasta Company. Photo by Kiaora Bohlool. 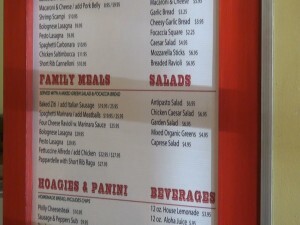 Menu at Maui Pasta Company in Waikapū Photo by Kiaora Bohlool. 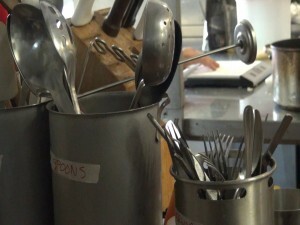 Utensils in the kitchen at Maui Pasta Company in Waikapū. Photo by Kiaora Bohlool. 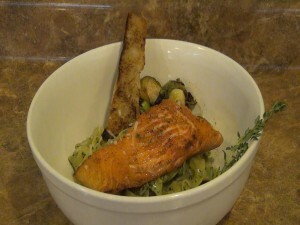 Salmon special with herb pesto and Kumu farms oregano at Maui Pasta Company. Photo by Kiaora Bohlool. 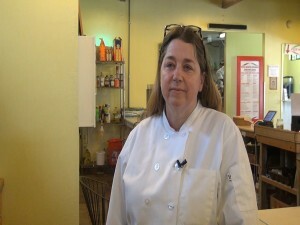 Maui Pasta Company owner and executive chef Patricia Inman. Photo by Kiaora Bohlool. 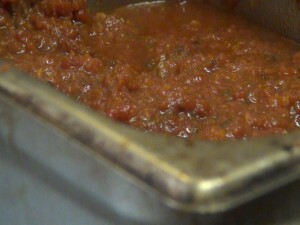 Fresh marinara sauce at Maui Pasta Company. Photo by Kiaora Bohlool. 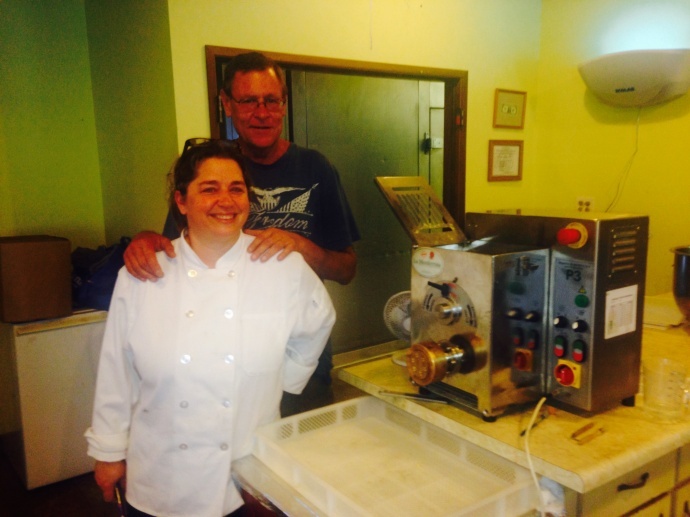 Staff works hard at Maui Pasta Company in Waikapū. Photo by Kiaora Bohlool. 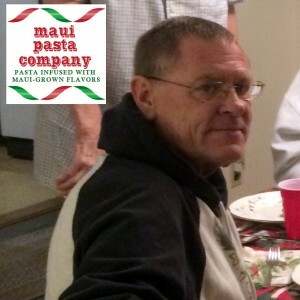 Photo of Ron Inman, posted on the GoFundMe page to help support Maui Pasta Company. Photo courtesy of Patricia Inman. 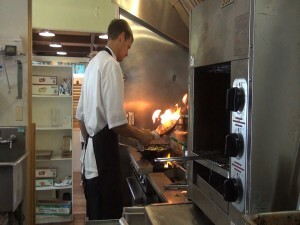 Chef at work at Maui Pasta Company. Photo by Kiaora Bohlool. 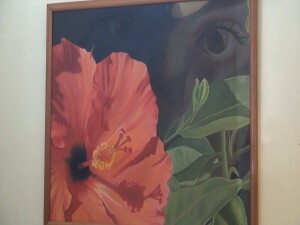 Painting by Maui Pasta Company owner Patricia Inman, who teaches art history at UH-Maui. Photo by Kiaora Bohlool. Patricia and Ron Inman outside their business. Photo courtesy of Patricia Inman. 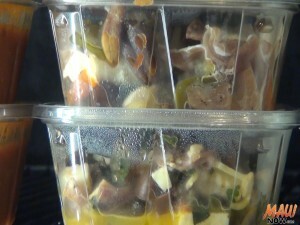 Grab-and-go specialties at Maui Pasta Company. Photo by Kiaora Bohlool. 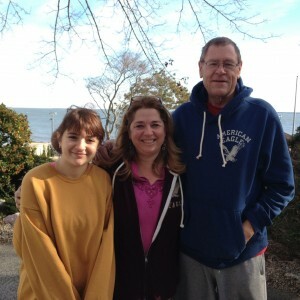 Family photo with Maui Pasta founders Patricia and Ron Inman. Photo courtesy of Patricia Inman. Through summer and fall of 2015, the all-consuming, 12-hours days at Maui Pasta were filled with a mix of excitement and exhaustion, with just the two of them running the shop. When Ron started slowing down and feeling extra tired, Patricia says they figured the grueling schedule was getting to him. But, they learned it was more, after closing the shop to visit family in Connecticut over Christmas. Returning to Maui, Ron collapsed in January. The news from doctors was dire. “fall-apart moments” and to “ground myself.” It was also Maui Pasta’s delivery vehicle, complete with logos on the doors. The morning of our interview, on Friday, Feb. 19, Patricia tells me that car had been stolen out of the Hospice parking lot. “Things happen, we get challenged, we try to hold on, but it seems like a lot of blows,” she says. 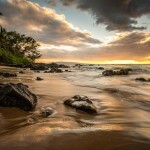 The call went out on social media, including a post on Maui Now’s Facebook page that received more than 42,000 views. By Monday, her car had been found in-tact, in the Queen Ka’ahumanu Shopping Center parking lot. “We went from one day at a time to one hour at a time to one minute at a time, and then it went down to one breath at a time. That’s all you can do, right? I love him to death and I’m just going to keep going there and taking care for as long as I have, and try to hold onto the business,” she told me on Feb. 19. Five days later, she was there, by his side at hospice, when Ron passed away. 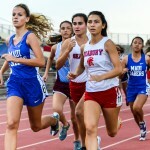 “His dream of Maui Pasta will now be his legacy with all of your amazing support and love,” Patricia wrote on her GoFundMe page, which she started to help cover mounting bills and afford to pay her new employees, who she says are “like family.” The site exceeded its donation goal of $20,000 within just 16 days, and a growing number customers have come through the doors in support of Patricia and Ron. 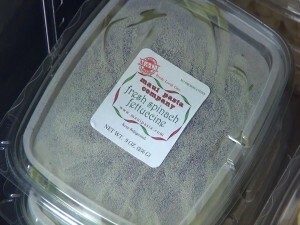 If you’d like to learn more about Maui Pasta Company, please click here.